Zard Zamano Ka Sawera seem to be presenting Shahroz in a serious new avataar; something like an angry young man. Komal Aziz represents a woman with a firm belief in her fate and how her creator would set things straight for her. Hira Tareen is also seen portraying a very intense character in the drama. 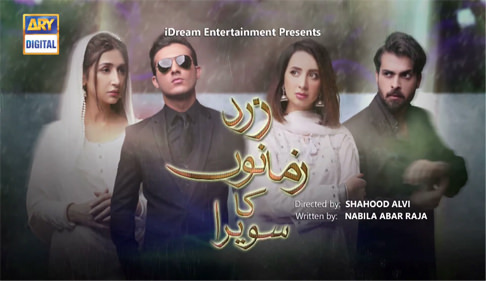 As per the teasers, Zard Zamano Ka Sawera looks more like a story of how the society treats a widow and her children and how these children find themselves grown up with lost childhoods. Hira and Komal Aziz will be playing two orphaned sisters living under the care of their relatives, who obviously consider them as a burden. Director Shahood Alvi, in an earlier conversation with HIP, mentioned Zard Zamano Ka Sawera to be especially directed for people who do not understand the importance of relations. "We are trying to make them realize the significance of relationships through the drama," Shahood had shared with HIP.